At Odyssey Dental Care in Winnipeg, we believe prevention and early detection are keys to great oral health. We provide regular dental check-ups with digital x-ray technology for patients in Regent, East Kildonan, Transcona and surrounding Winnipeg communities, so we can identify areas of risk and stop problems before they start. At Odyssey Dental Care, dental examinations depend entirely on the health of a patient’s teeth and gums. Even if you take great care of your teeth, examinations and cleanings will ensure you maintain optimal health. We generally recommend that children and adults have their teeth cleaned at least once every 6-12 months. For patients who are concerned that they may be at risk due to factors such as age, tobacco use, rate of accumulation of deposits, personal oral hygiene practices, or medical conditions – a more aggressive oral health maintenance plan may be required. 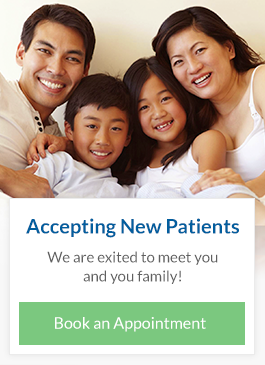 We will customize the treatment plan to meet each individual patients’ needs. At Odyssey Dental Care, our digital x-rays give us instantaneous images to quickly diagnose hidden problems that are often not obvious to the naked eye. And, because every patient’s history is stored electronically, any images uploaded and stored can be accessed in seconds. This means we can view a patient’s complete history and make more accurate diagnoses.